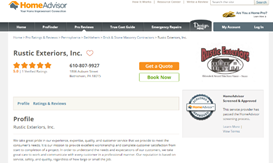 Rustic Exteriors in Bethlehem, Northampton County, PA http://www.homeadvisor.com/rated.RusticExteriorsInc.45052091.html takes great pride in their stone veneer experience, expertise, quality, and customer service. 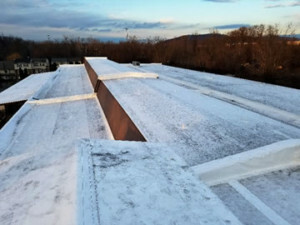 The old roof was EPDM that was leaking in many areas and although patching had been done in many places, rotting of the structural wood deck was still occurring. The new roof is Duro-Last 50 mil reinforced white PVC. The roofing membrane is mechanically attached through the old roofing material directly to the roof deck saving the expense of tear-off & new insulation and ensuring the most reliable resistance to high-winds. Seams are welded with the safety of hot air and are permanent unlike taped seams. The Duro-Last Basic Warranty covers ponding water, and has no required maintenance reporting. 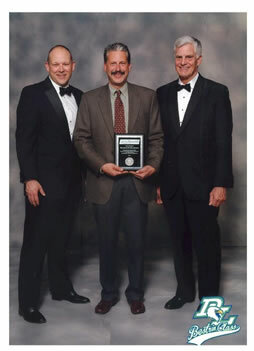 Duro-Last is Energy Star® rated and highly-resistant to the expansion & contraction that degrade black roofs. No TPO is used to make Duro-Last, only PVC that has been proven over the last 40 yrs.